I recently wrote a review of the book Learning Together by Kathi Hughes and now it's time for a giveaway. I actually have two books to giveaway but more on that later. The question I am asked most frequently is "I'm new to Montessori, I feel overwhelmed, where do I start?". Usually I respond with some discussion about following the child and independence and always end with some website and book suggestions. I always suggest Learning Together. 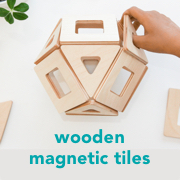 It's about living the Montessori way and takes a whole-of-child approach. I think even non-Montessori parents would enjoy it because of it's intentional parenting and wholesome living approach. The book has been published by The Montessori St. Nicholas Charity. Currently the book is only available from the UK based bookstore but they ship internationally. 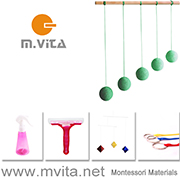 I also wanted to mentioned the Montessori St. Nicholas blog and in particular recent posts about Montessori: A Free-Range Approach? and Making Links Between the Indoors and Out. Spending time outdoors and free ranging are big priorities in our home right now. I have two books to giveaway and will be drawing two people each to receive one book. To enter simply leave a comment in the comment section of this post. Comments close Friday 15th June 2012 at 10pm AEST. The giveaway is open internationally but please only one entry per person. I don't receive commission or payment from sales of this book. We have contributed towards the book (you'll see some photos of Caspar and Otis) and I have been given copies the book for the purposes of promotion. Comments have now closed. Thank you to everyone who entered. Lela and Julia have been drawn as the lucky recipients. I will be emailing you both very soon.